The photographs are reminiscent of those of Christer Strömholm and his photographs of French transwomen prostitutes from the 1950’s and 1960’s, but where in that case the black and white media gave a sense of unreality to the photographs, in this case the bold color of the images does the opposite. I’ve included some samples of the photographs from the book so you can get a feel for the scope and detail of Ms. Allen’s work. If you wish to purchase the book, you can find it at this link. Amanda is a 36-year-old HIV-positive prostitute who has tried to emigrate to the United States, but instead is stuck in Havana. She was one of the first transgender women befriended by the artist. This is Amanda’s world, inside the tiny apartment she rents. 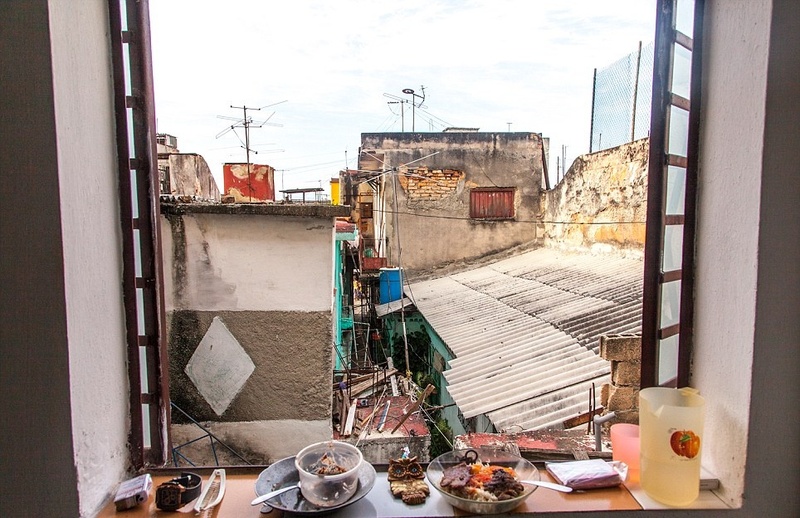 Charito lives in Camaguey, the third-largest city in Cuba. Laura sits in her room, where she services her clients. Her face is hard and not proud, but defiant. Her name is written in red on the wall above her crude mattress. I would almost think that this image is reminiscent of an Edward Hopper work, except Hopper rarely painted his subjects giving their full attention to the viewer. Malu is shown here with her parents and her younger sister in Havana. Malu exudes confidence, and a look of fierce pride in herself. Despite living in poverty and working as a prostitute, she has not been broken. There’s no joy inside or out. Natalie tried to find employment at a factory, but was denied employment due to her gender presentation. With no other choices, she turned to prostitution and contracted HIV. She has been in trouble with the law, and will likely continue to be so. When faced with such challenges and such surroundings of depression, it’s a wonder she can even function. Nomi and Miguel, a romantic couple, watch TV in their apartment. They seem very much at ease together, despite the bored expression on Miguel’s face. A transgender person in a bikini on Mi Cayito beach, kissing her boyfriend, is truly a sign of progress. Under Fidel Castro transgender persons were marginalized and ostracized, sometimes being sent to forced labor camps. 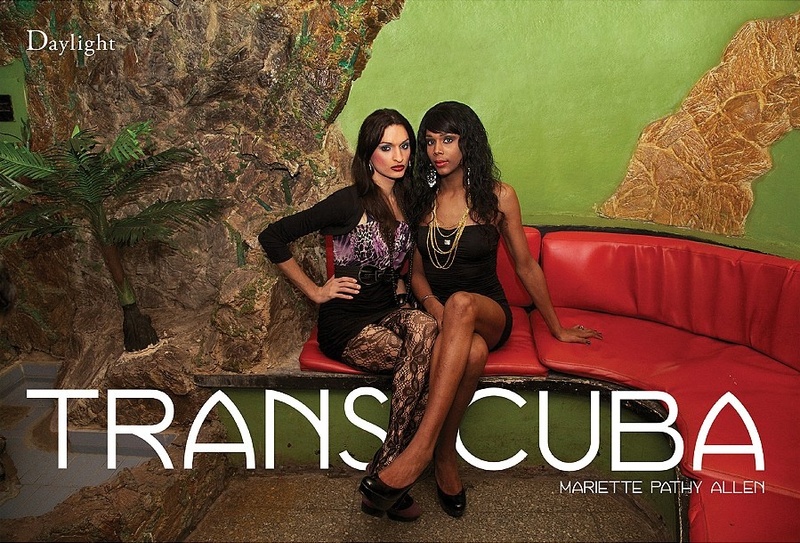 Under the rule of Raul Castro the life of transgender persons has improved markedly, largely due to the influence of Raul’s daughter, Mariela Castro Espin. In fact, it was Raul’s daughter who successfully campaigned for the Cuban government to legalize SRS in 2008. However, as can be expected in a country which is desperately poor, most transgender persons can never afford nor qualify for SRS. Sissi works as a hairdresser in Cianfuegos. 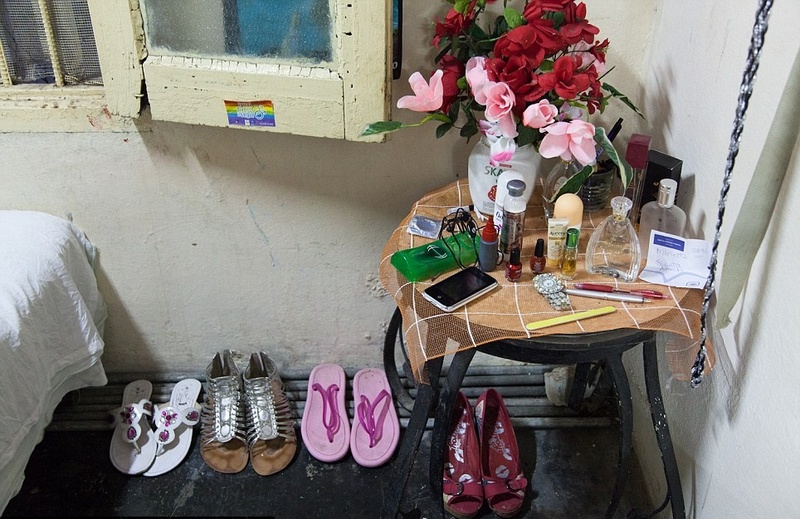 HIV/AIDS is rampant among Havana’s transgender prostitutes, with some sources estimating that as many as 90% of them are infected. Only the luckiest transgender people can earn money via public performance. Outside of that, or submerging their gender identity, the only other practical choice is prostitution. The plight of transgender Cubans is only slowly improving, and one wonders how they survive at all. Until we remember that all of us who have made it in life to where we are now also faced incredible challenges. And we remember how strong as a people we are. The photographer, Mariette Pathy Allen, became interested in the subject after attending a transgender culture and identity symposium in Cuba in 2012. 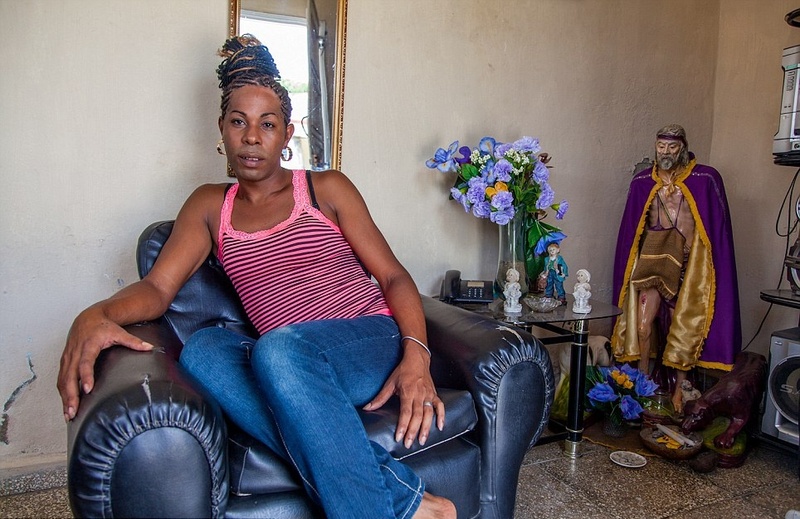 Having met several other transgender women there, she was introduced to their culture and decided to create a photo essay of the transgender women of Cuba. Befriending Amanda and Nomi, Allen returned twice to continue seeking subjects for her photographs and decided to publish them in the collection linked to above.